In my mind today, I'm thinking of prayer. You hear and see it often among friends and family. Being Catholic, prayer is key. We have many formal prayers: the Our Father, Hail Mary, and the Glory Be. These are common. Prayer is a way to "love others as we love ourselves." Scrolling through social media there are always petitions for prayers. The world is hurting. I see friends battling cancer, surgery, deaths, and just life. Prayer is such a gift. I love to pray. It's in those still moments that I consciously seek to commune with my maker. As a Catholic, you may think my prayers are formal. 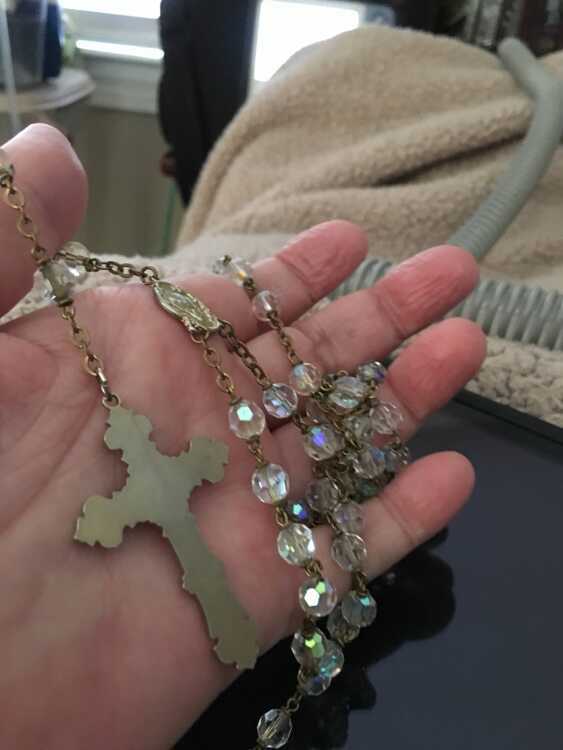 Yes, I clutch a worn rosary during my prayerful times, but I have quite the Protestant slant to many of my prayers. I plead and beg God for needs of my family and friends in plain speech. Sometimes I just think of the person or situation and let God do the rest. There are so many ways to pray. There are short "Jesus, Help Me" or "Thank you" prayers and long pleading prayers from our hearts. The wonderful thing is that I really think God hears all prayers. Lent is coming. As a Sunday School teacher and Youth Minister at my little parish church, I'm going to focus on prayer with my students. They are an answered prayer for me. I'm given an outlet to still physically teach each Sunday for 60 minutes. This is some of my most beloved and cherished time. The forty days before Easter are a time of reflection and renewal. A time to cultivate healthy habits. Many "give up' a vice for lent, but I'm going to suggest we add more prayer. I know it will enhance the and stoke the "light" in our world. Do you have a Lenten goal? Whatever your faith, I hope you join me and my students as we pray for each other, our churches, our schools, our towns, and our world. Prayer works. Can I get an Amen? "Three of the best prayers: Thanks, Help, and Forgive me."